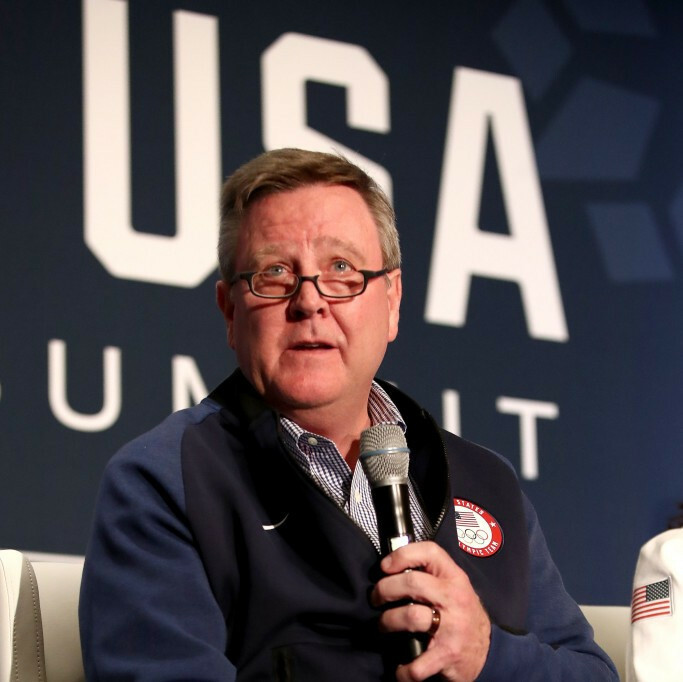 The United States Olympic Committee (USOC) have confirmed the resignation of their chief executive Scott Blackmun, while announcing reforms to protect athletes from abuse. Blackmun informed USOC staff last month that he was battling prostate cancer and was due to have surgery. The 60-year-old ultimately did not travel to the Pyeongchang 2018 Winter Olympics, which concluded on Sunday (February 25). He first became chief executive of USOC in 2010 and has served on the International Olympic Committee Marketing Commission since March 2011, and the Olympic Programme Commission since May 2015. 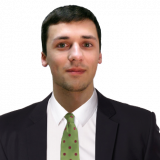 In addition, he also served on the Pan American Sport Organization Executive Committee in April 2017 and with the International Council of Arbitration for Sport in January 2015. He is credited with playing a key role for the US topping the overall medal counts at the Vancouver 2010, London 2012 and Rio 2016 Olympic Games. In addition he was heavily involved in Los Angeles' successful bid for the 2028 Summer Olympics and Paralympics. Susanne Lyons, a current board member, will serve as acting USOC chief executive while a permanent successor is sought. "Serving the USOC and its many stakeholders and working with our board, our professional staff and many others who support the Olympic and Paralympic Movements has not only been immensely rewarding, it has been an honour and the highlight of my professional life," said Blackmun. "I am proud of what we have achieved as a team and am confident that Susanne will help the USOC continue to embody the Olympic spirit and champion Team USA athletes during this transition." Blackmun had also come in for criticism in the wake of the Larry Nassar sexual abuse scandal. USOC chairman Larry Probst claimed earlier this month that Blackmun did the "right thing at the right time" in the way he responded to allegations about the former USA Gymnastics doctor in 2015. Senators Joni Ernst and Jeanne Shaheen were among those to call for Blackmun to resign. Nassar, the national medical coordination officer for USA Gymnastics between 1996 and 2014, was jailed for up to 175 years last month on seven counts of criminal sexual abuse against athletes. A total of 260 women have so far claimed that he sexually abused them as he conducted medical treatment on them, including a number of Olympians. USOC has admitted that it learned of the abuse allegations in 2015, one year before they emerged publicly when they were told that the Federal Bureau of Investigation was investigating Nassar. "Given Scott's current health situation, we have mutually agreed it is in the best interest of both Scott and the USOC that we identify new leadership so that we can immediately address the urgent initiatives ahead of us," said Larry Probst, USOC chairman. "The USOC is at a critical point in its history. "The important work that Scott started needs to continue and will require especially vigorous attention in light of Larry Nassar's decades-long abuse of athletes affiliated with USA Gymnastics. "We will be working with key stakeholders to help identify a permanent successor to Scott. "In the meantime, I am confident that Susanne is the right person to help us navigate this critical transition period." In response to the Nassar scandal, the USOC have announced new funding and resources for support and counselling for gymnasts impacted by his crimes. They will also launch a new resource for athletes from other Olympic and Paralympic sports recovering from similar abuse. An advisory group, which will bring together survivors, advocates, child psychologists and other medical professionals, will be set-up. The group will be tasked with guiding USOC on stronger safeguards against abuse throughout the Olympic community and how to provide effective support for victims. USOC state this may result in additional changes to their policies and methods for addressing cultural issues and conflicts of interest that may exist in sports. A review will also be launched of the USOC and national governing body (NGB) governance structure, which will seek input from safe sport advocacy groups, the NGB Council, the Athletes' Advisory Council, current athletes and policymakers. The review will consider clarifications and changes to this structure. A reassessment of USOC SafeSport procedures will also be undertaken to determine what measures are necessary to ensure allegations of abuse are reported to the US Centre for SafeSport, in addition to law enforcement, and that necessary follow-ups occur. USOC said this would enable NGBs and themselves to be more aware of problems as they arise, spot trends, and know where more oversight and engagement are necessary. The Centre for SafeSport is also set to have its funding nearly doubled, which would be put towards hiring more investigators and staff. It is believed this would improve the speed of case resolution and enhance communication for victims and their families. USOC believe this would see age-appropriate training on recognising and helping to prevent abuse, and offer better and more accessible resources online. USOC have also vowed to seek further input on their decision making from currently competing athletes and those who have competed in the past. This would be in addition to the existing Athletes' Advisory Council. The organisation state they will work with USA Gymnastics to address its governance issues, implement a culture change and act on the results of an ongoing independent investigation once it is complete. "While we are eager to review the findings of the independent investigation, the USOC is taking important actions now based on what we already know," said Lyons. "We are evaluating the USOC's role and oversight of all the National Governing Bodies, considering potential changes to the Olympic structure and aggressively exploring new ways to enhance athlete safety and help prevent and respond to abuse." Lyons has been the chair of the USOC board's working group, addressing issues the Nassar case has brought to light. USOC state she has been leading their efforts to ensure a process that is independent, transparent, sensitive and accessible.